The EViD electronic pollbook is reliable, easy to use and flexible to fit any environment. 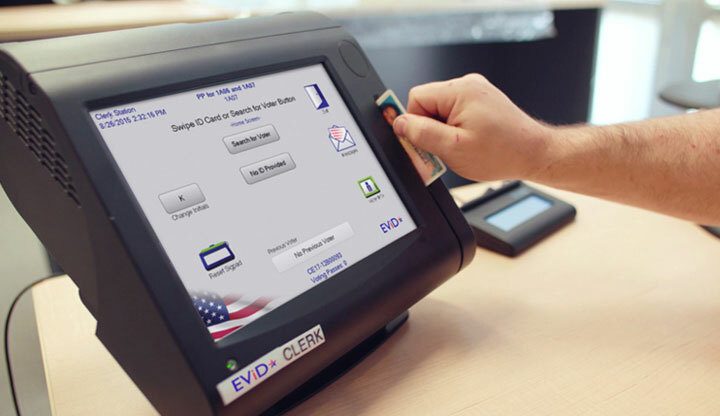 Available as a tablet, an all-in-one station or customized for an existing device, more than 14,000 EViDs were in use during this past election season. 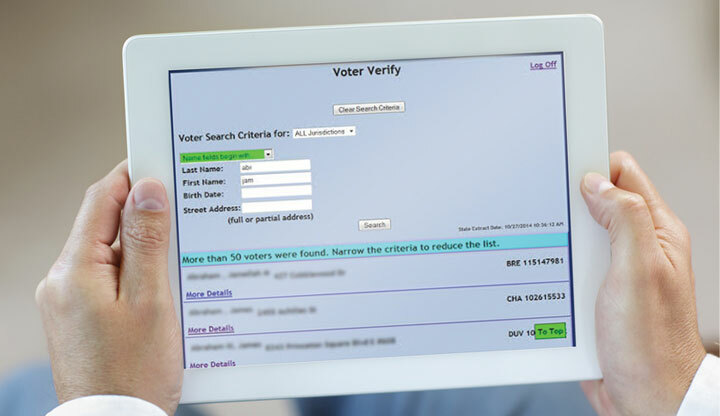 During, after and in between elections Voter Focus offers a complete voter registration and management system. 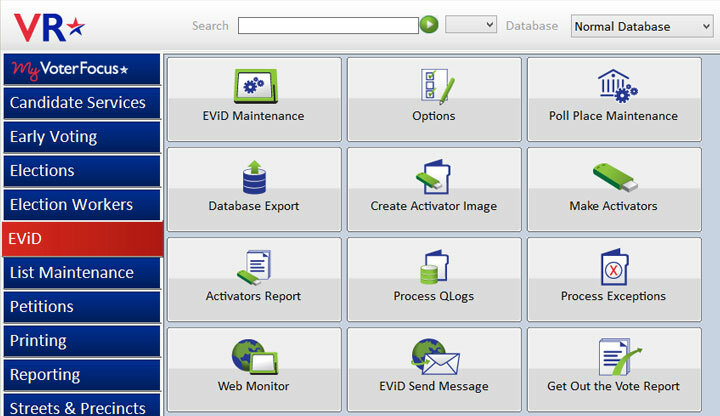 With this one suite of tools, you can manage all aspects of an election in an easy to use, intuitive environment. ELM is a online training platform that lets election workers learn at their convenience. It offers trainers comprehensive class design, control and tracking. Customers get significant costs savings by utilizing the power of ELM. 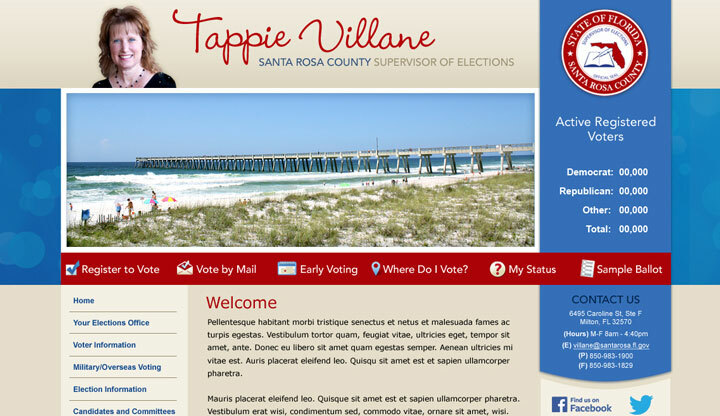 VRTower is a website management solution designed specifically for elections websites. Designing, publishing and hosting sites has never been easier with this all-in-one approach. All of our products and solutions have a trusted process for implementation starting from acquisition, acceptance testing, delivery to final staging. We work closely with you every step of the way for a smooth transition. We want our customers to benefit from VR's deep expertise and feature rich offerings. On-site visits, webinars and carefully planned timetables ensure that whatever product or solution you choose, you will be ready in time for your election. VR is staffed by individuals with specialized expertise in education and training. Every customer goes through an initial training session. And we continue to offer opportunities to learn about our products, updates and new features. We regularly assess your progress to make sure you get everything available. 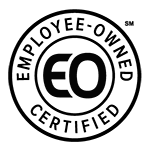 Our training is delivered through a variety of media, on-site classes, user group meetings and customer roundtables. VR's support team is always there when you need us. Our phones are always answered by one of our staff members. Even after hours, you will get a person on the phone no matter the time and with no additional charge. We offer a vibrant user community website where you can enter requests, access detailed, professional technical data and track company activities. We present support documentation in a variety of ways and formats so you can get what you need in the way you most prefer. Your success is our mission. "It is wonderful to work with Philip. He listens to our concerns and works very hard at finding solutions. There isn't an issue too small or too big that he has not been able to find an answer to."